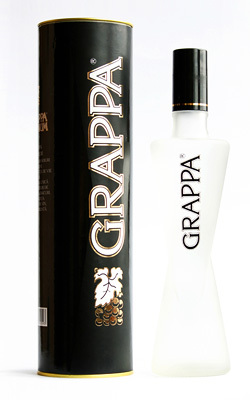 Grappa No.2 passes through the classical cleaning in order to get a crystal clear snow shade. A rich bouquet of intense floral and fruity tones, with subtle hints of May honey. Soft, harmonious with nutty taste, smoothly turning into an aftertaste with shades of duchess and lemon. 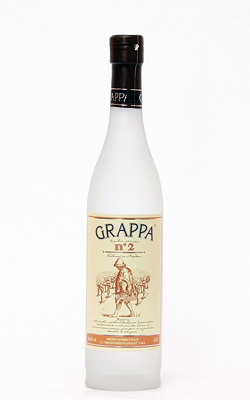 Professionals of the Moldovavskii Standard House make Grappa No.2 of fresh extracts of Chardonnay classic white grapes. 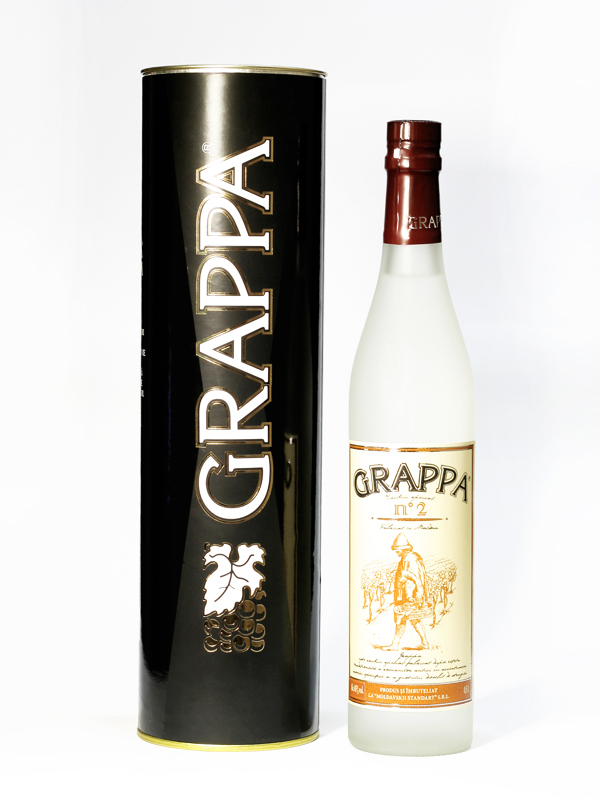 Before drinking, we recommend that you leave the drink in a glass and let it “breathe” and then the grappa will delight you with the delicate aroma of tropical fruits. 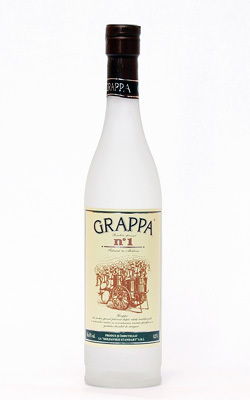 We recommend you to try Grappa No.2 with traditional Moldovan placinta (cheese pies). Grape variety made of a young wine distillate of grape varieties Sauvignon. It has noble flower-fruit tones. 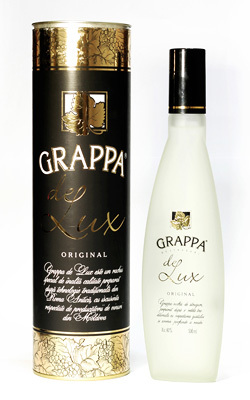 The taste is slightly burning, rounded with a characteristically stable aroma of black currant.